You are all invited to this symposium organized by the Program for the Advancement of Research on Collaboration and Conflict at Syracuse University. 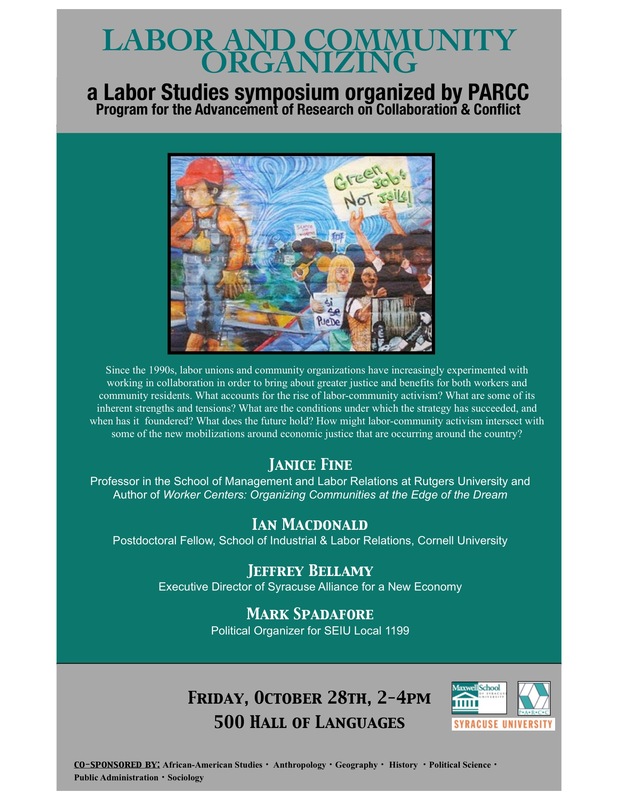 Professor Gretchen Purser from the Workers’ Center Leadership Team is also organizing the event. The book “Workers’ Center: Organizing at the Edge of a Dream” written by Janice Fine was a great inspiration for the founders of our Workers’ Center. FRIDAY OCTOBER 28, 2-4 pm at Syracuse University 500 Hall of Languages.